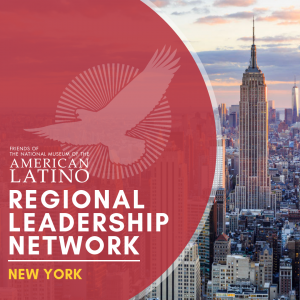 On behalf of the Friends of the American Latino Museum (FRIENDS), we respectfully bring to your attention a matter of great concern to us and millions of American Latinos around the nation: the issue of equity and inclusion in the telling of our U.S. history. As the Smithsonian Board of Regents begins its search for a new Secretary, we would like to underscore how important it is that this individual reflect the growing diversity of our nation. To be precise, we would argue that the next Secretary of the Smithsonian should be of Hispanic descent. 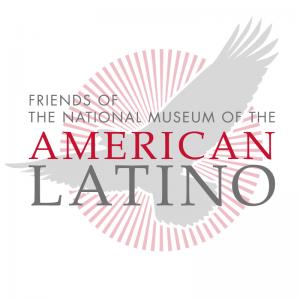 We proudly follow in the footsteps of the National Museum of African American History and Culture, and our organization has been working for more than a decade to create a museum in our nation’s capital that will educate, inspire and encourage a greater understanding of the contributions made by Latino leaders, pioneers and communities to our American way of life. We can trace the contributions of American Latinos back at least 500 years. It is time that the American public and international visitors know their stories. If not, we risk having stereotypes and false narratives perpetuated by news outlets, fellow Americans, and politicians. The next Secretary will outline a vision for the next decade, and that vision should be reflective of the great and growing diversity of America. 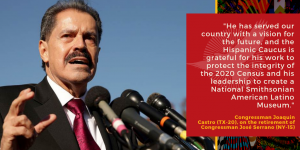 It is imperative that the next Smithsonian Secretary have an understanding of the commitments made through the Smithsonian’s own 1994 Willful Neglect report that laid bare the seemingly intentional omission of U.S. Latino history from our nation’s museums. The 2018 UCLA Latino Policy and Politics Initiative report found that few of the recommendations from that report have been fulfilled, but the incoming Secretary will have the opportunity to recommit and prioritize the 25-year-old recommendations. As you know, the role of the Smithsonian Secretary is critical to ensuring that communities are equally and accurately represented throughout the Smithsonian Institution. Not only will the next Secretary be the head of the Institution, but he or she will decide whose stories are told on the National Mall. The incoming Smithsonian Secretary should have a proven track record of uplifting the stories and experiences of American Latinos. The incoming Smithsonian Secretary should acknowledge that American Latinos have been deliberately and disproportionately left out of our country’s historical narrative. The incoming Smithsonian Secretary should be committed to fulfilling the suggestions made in the Smithsonian’s 1994 Willful Neglect report, which includes establishing a Smithsonian National American Latino Museum. We are grateful for your attention to this matter and welcome further conversation with you and your fellow Board members.